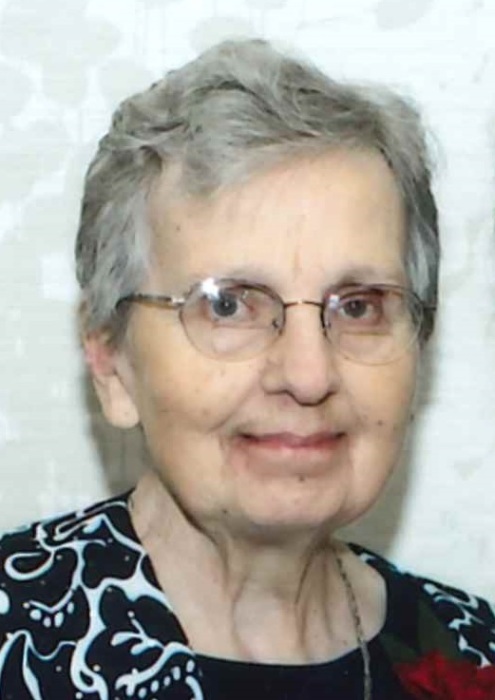 Shirley Eileen (Nelson) Farrell, 83, of Shenandoah, entered into eternal rest on Thursday, March 21, 2019 at the Shenandoah Medical Center following a brief illness. 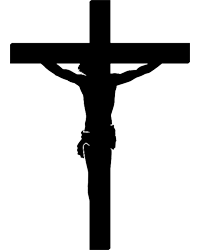 Mass of Christian Burial will take place on Thursday, March 28, 2019 at 10:30 AM at St. Mary's Catholic Church in Shenandoah with Father Raphael Assamah officiating. The family will greet relatives and friends with visitation and viewing at the funeral home Wednesday, March 27, 2019 from 5:00 to 7:00 PM with Recitation of Rosary Service to follow at 7:00 PM. Burial will take place in the Rose Hill Cemetery next to her beloved husband Bill. Memorials in Shirley's name are being directed to either St. Mary's Catholic Church or the Shenandoah Medical Center, where Shirley as switchboard operator for over 30 years. Shirley Eileen (Nelson) Farrell, daughter of Edward H. and Anna Louise (Kemper) Nelson, was born on a farm south of Farragut, Iowa on August 30, 1935, the youngest of seven children. She entered into eternal rest on Thursday, March 21, 2019 at the Shenandoah Medical Center following a brief illness at the age of 83 years, 6 months, 21 days. Growing up on the family farm near Farragut, Shirley attended the Farragut Community Schools, graduating from Farragut High School with the Class of 1953. She then attended the Commercial Extension School of Business in Omaha, Nebraska, graduating in 1954. Her first job was at the Beebe & Runyon Furniture Store in Omaha. She met her husband William Walter Farrell, while he was stationed at Offutt Air Force Base in Bellevue, Nebraska. They were married on June 23, 1956, at St. Mary’s Catholic Church in Shenandoah. The union was blessed with eight children. Following Bill’s service in the United States Air Force, they moved to Kearney, New Jersey (where Bill was from) in 1959. With Shirley being a deeply rooted southwest Iowa farm girl, they moved to Shenandoah in 1961, to raise a family. For over thirty years, Shirley worked as a switchboard operator and receptionist, beginning at the Hand Community Hospital before retiring from Shenandoah Memorial Hospital (Shenandoah Medical Center) in 2000. A longtime and faithful member of St. Mary’s Catholic Church, Shirley was Treasurer of the St. Mary’s Ladies Guild for many years. She was also a member of the Shenandoah American Legion Auxiliary as well as serving as Treasurer of TOPS for many years. Shirley loved to watch basketball with her favorite teams being the Chicago Bulls, Kansas and Iowa State. She enjoyed watching Wheel of Fortune on TV, playing ping pong, collecting angels and was an avid bowler for many years. Preceding Shirley in death were her parents; beloved husband of over 55 years, William Farrell; daughter, Katrina Mattice; infant son, William Paul Farrell; two brothers, Stanley and Enos Nelson; and two sisters, Lois Walter and Agnes Hopkins. She will be remembered as a devoted wife and loving mother, grandmother and great grandmother. Left to cherish her memory are her six children, Joseph Farrell and wife Nancy of Colorado Springs, CO, Theresa Stevens and husband Jerry of Underwood, IA, Brian Farrell of Jacksonville, IL, Greg Farrell and Jessica Stokes of Poway, CA, Steve Farrell and wife Carrie of Swansboro, NC, and Robert Farrell and wife Amy of Shenandoah, IA; son-in-law, Charlie Mattice and wife Tammy of Shenandoah, IA; thirteen grandchildren, Tara, Tim, Amy, Chris, Connor, Joshua, Lance, Megan, Jacob, Kylee, Mike, Courtney and Brock; eight great grandchildren; sister, Betty Van Ness and husband Lyle of Shenandoah, IA; brother, Delbert Nelson of Shawnee Mission, KS; brother-in-law, Frank Farrell and wife Helen of Manchester, NJ; many nieces, nephews, cousins and other relatives; and many friends.